Dr. Debra Horwitz receivedher DVM from Michigan State University College of Veterinary Medicine in 1975.She became board certified as a diplomate of the American Collegeof Veterinary Behaviorists in 1996, one year after the formal recognition ofthe college. Dr. Horwitz has had a referral practice for behavioral problems incompanion animals since 1982; and moved her practice and family to St. Louis in 1986. Dr.Horwitz is adjunct faculty at the University of Missouri veterinaryschool. She is Co-editor and author ofthe BSAVA Manual of Canine and Feline Behavioral Medicine 1stand 2nd edition, published in October 2009. Her other book, Blackwell'sFive-Minute Veterinary Consult Clinical Companion: Canine and Feline Behavior co-authoredwith Dr. Jacqui Neilson was published in 2007. She is the behavior sectioneditor for the 5 Minute Veterinary Consult 3rd, 4th and5th editions. 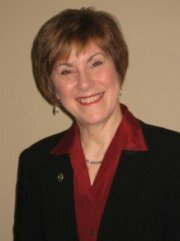 She is alsoco-author of the Lifelearn Behavior Client Handouts available on CD andonline. Dr. Horwitz is a behavioral consultant on the Veterinary InformationNetwork, an educational resource for veterinarians. In2012 she received the Veterinarian of the Year by Ceva Animal Health at the Purina® Pro Plan® 57th Annual Show Dogs of the Year® Awards. She is afrequent lecturer speaking at the numerous national and internationalveterinary meetings including the North American Veterinary Conference, theAmerican Animal Hospital Association annual meeting, the American VeterinaryMedical Association Annual Convention, the Australian Veterinary Associationand the British Small Animal Veterinary Association. In 1999 she was chosen "Technician Speaker ofthe year" at the North American Veterinary Conference. She was recently chosen as the "Veterinary Speaker of the year" at the 2012 North American Veterinary Conference. Her articles on companion animal behaviorhave appeared in the Journal of the American Veterinary Medical Association,Veterinary Forum, Compendium publications, Journal of the American AnimalHospital Association, NAVC Clinician's Brief, and in books for pet owners onbehavior. She also serves on several advisory boards for corporations andpublications related to animal behavior, health and welfare. She appears locally and nationally on bothradio and television as well as in local print publications and lectures. Dr. Horwitz was the 1999 AAHA FriskiesPetCare award recipient for excellence in companion animal behavior. Dr. Horwitz isactively involved in organized veterinary medicine serving on numerouscommittees for the American College of Veterinary Behaviorists and has alsoserved as its president. She has also served on the Committee for the HumanAnimal Bond of the American Veterinary Medical Association. She is a member of the Greater St. LouisVeterinary Medical Association, the Missouri Veterinary Medical Association,the American Animal Hospital Association and the American Veterinary MedicalAssociation. Locally she has helpedtrain behavior Helpline associates at the Missouri Humane Society as well asNestle Purina PetCare Office of Consumer Affairs. Veterinary Behavior Consultations is pleased to announce our new Resident, Dr. Amy L. Pike. Dr. Pike graduated from Colorado StateUniversity School of Veterinary Medicine and Biomedical Sciences in2003. After graduation, she wascommissioned as a Captain into the United States Army Veterinary Corps and wasstationed at Fort Huachuca where she spent the next three years. There, Dr. Pike took care of 200 US Customsand Border Protection horses, 15 Military Working Dogs, ran a small animal clinicwith over 4000 active patient files, and was the director of the base's strayanimal and adoption facility. It wasdealing with the Military Working Dogs that spurred her initial interest inbehavior medicine. After getting off of active dutyin 2006, Dr. Pike then worked exclusively in small animal practice in SierraVista, Arizona where she furthered her love of behavior medicine by seeingcases and teaching Puppy Socialization classes for clients. Dr. Pike and her husband, a Major in the Army,were then stationed in the Washington DC area where she worked at the smallanimal clinic on Andrews Air Force base and took care of the Military WorkingDogs attached to the President of the United States. After only one year, the Pike family was then stationed in the Metro Eastarea at Scott Air Force Base. Dr. Pikestarted seeing behavior referrals at VBC in August of 2011 and we areexcited to announce that her residency has been officially approved by theAmerican College of Veterinary Behaviorists. VBC is sorry to lose Dr. Pike, but is pleased to inform you that she has relocated to Louisville Kentucky and opened Veterinary Behavior Solutions. Please visit her website at www.vetbehaviormed.com or call today for an appointment at 1-888-502-0223.